If you follow my blog, then you know that I recently had a Birthday. I received some gifts from my relatives that live in another state, so it’s a great time to be able to make a thank you card! I also used scraps from a new Lawn Fawn Paper to make a border. 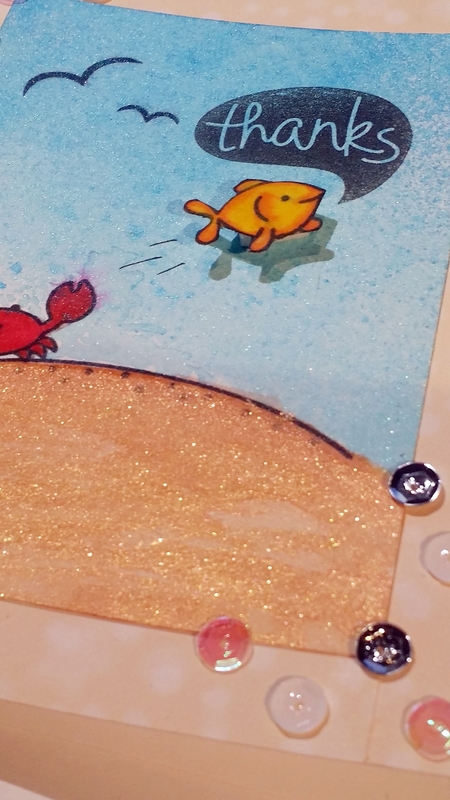 It just required a little extra cutting and the use of sequins to cover up spots where glue seeped under. 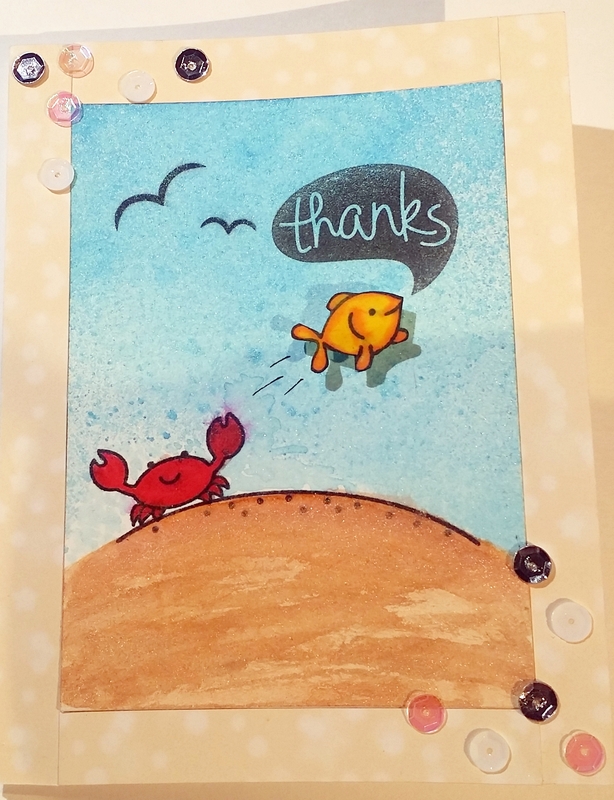 This one is for my Grandma and I used 3 different Lawn Fawn stamp sets to create this card. I’ll post the picture and then a list of supplies with links below. Sequins, Glossy Accents and ATG tape runner. You can really see the gorgeous shimmer of the mica powders on this card and I think my grandma will enjoy the play on word on the inside. Thanks for stopping by!